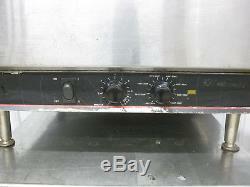 This oven has been tested by a technician and works great! Cooks food under jets of hot air. 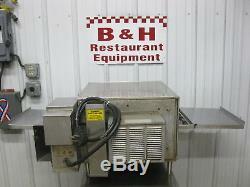 Uniform Heating/Cooking of Food Conveyorized Oven. No need for constant tending. 20 (508mm) Long Cooking Chamber. 200°F to 550°F (93°C to 288°C). Stackable up to Two (2) High. 4 (102 mm) Legs Required for Ventilation. #4 Finish Stainless Steel Exterior. 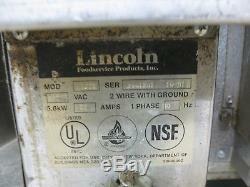 Fuses (Control and Blower) on Control Box Side. Direct Drive via DC Stepping Motor. 30 second to 15 minute Cook Time. Our zip code is 45315 business and we do have a loading dock at our main 10,000 sq. Shop and our 20,000+ sq ft storage warehouses. 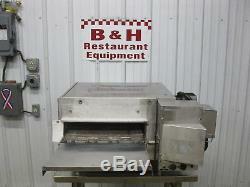 The item "Lincoln Impinger 1301 16 Belt Conveyor Pizza Sub Counter Top Oven with Extensions" is in sale since Saturday, December 15, 2018. 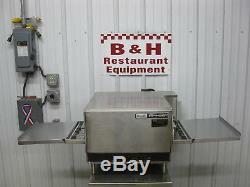 This item is in the category "Business & Industrial\Restaurant & Food Service\Commercial Kitchen Equipment\Cooking & Warming Equipment\Ovens & Ranges\Deck & Conveyor Ovens". 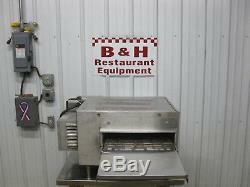 The seller is "bhrestaurantequip" and is located in Clayton, Ohio. This item can be shipped to United States.